This book was one of the best I've ever read, both in terms of fiction or war. And that comes as little surprise. 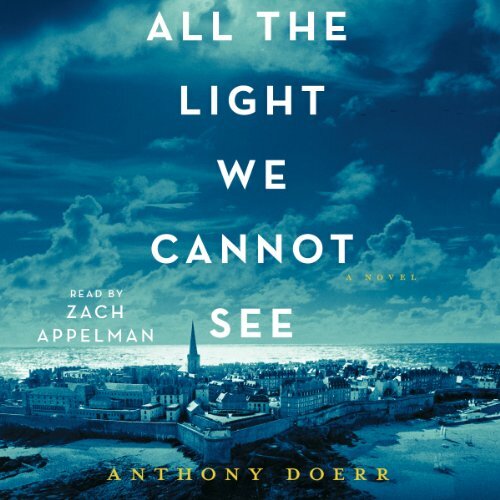 Anthony Doerr's All the Light we Cannot See was over a decade in the making, so a lot of thought has gone into both the realism of the subject (Second World War Germany and France with large portions of the book dealing with natural science and disabilities) and also the feel or style. Doerr's writing is excellent, I felt I could understand and feel the thinking parts especially, capturing the mental images created in the confusion and uncertainty of a nation caught up in fanaticism just as much as in the head of a young blind girl. The short sections do not detract from understanding more of the characters or following them closely, instead it perfectly fulfills what I can only assume was Doerr's goal: of linking and intertwining the two, sometimes three, occasionally four points of view together. It worked flawlessly in my mind and I never felt like it took anything away from one character. This hints at, what I believe, is the actual point of the book. 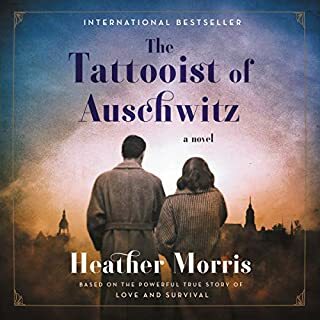 The paperback edition's back cover descriptor is a bit misleading as it describes the story as one that "illuminates the ways, against all odds, people try to be good to one another." In my mind, this isn't what the book is about, and while there are definitely many examples of this throughout the narrative (especially from Werner), I would suggest that the moral does not translate in all the characters. Marie-Laure herself doesn't show any propensity to going out of her way to do good for others, she just leads the life presented in front of her. She is good to Madame Manec for sure, but there's no surprise there, and to her uncle in his agoraphobia, but in many ways she would not survive without taking on more responsibility and she wants to help the resistance cause just so she is not cooped up in the house all the time. She does not save Werner (knowingly), but in the same way she could not really do him any harm in the brief time they are together. Most relationships are simply familiar, and I'd argue Werner's friendships are because of a lack of family. 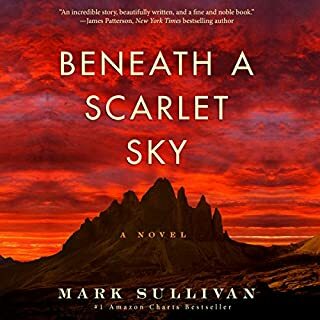 I would suggest that instead of a moral about being good, this book demonstrates the often-described way that timelines and lives get intertwined in wars, brought together in seemingly unexplainable ways with life-altering impacts. Many books touch on this concept, drawing characters together from diverse backgrounds, conveniently placing soul mates together when one needs saving, or having death arrive at tragic moments - all very real situations in our romantic notions of times of conflict - but none do it all too convincingly while really showing how deep those interconnecting points can run. 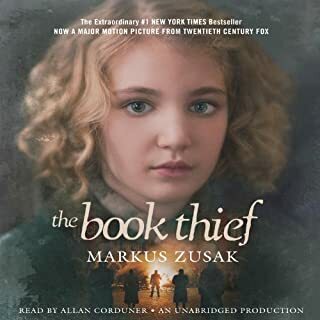 In All the Light we Cannot See those interconnecting lines begin in childhood with Werner and his sister listening to a radio and end 30 years or more after the war with two characters coming together for the first (and only) time. [I'm being vague here in an attempt not to have spoilers!] 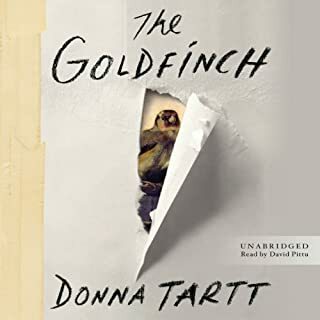 There are multiple connections, multiple levels of interconnectedness with multiple characters, and Doerr does not shy away from the fact that not all of these are positive, happy, life-affirming connections. Many are hard, trying to piece together lives cut short or finding out what you didn't know about someone you thought you knew. And it is done in a beautiful way where you know it is happening, you know it is coming, you make the connections yourself, but it doesn't effect how you feel about the story. There are very few criticisms I can have with this book. There were only two things that I noticed as ripples in my pond of happiness about this book. First, characters come and go in the story, just fading into nothing. This is SO WELL DONE, and is so true - people disappear in times of war and are never seen from again, it happens, people die, people live on without them - but Doerr does not always explain these major characters' deaths or show them (except in one instance). It's not necessarily a bad thing - it would change the feel of the story especially in the sections written in Marie-Laure's perspective - but I couldn't help but think either the character served their point and were not brought back, or that the tragedy of their deaths was not felt. Some characters have major connections with the deceased, and we see some references to their feelings of loss, but I suppose it just didn't hit me as I'd expected. Most of the deaths - in fact none of them - really surprised me or came unexpected, even if I did want them (one in particular) to live. The deaths make complete literary sense and I wasn't even that sad about their passing or how they passed, in fact one major character's exit, though unexpected as to how he dies, was beautiful in its tragic simplicity and timing. The second thing that stuck in my mind was the final section, the standalone chapter in 2014 (a jump of 40 years since the previous chapter). I didn't feel it was needed. It serves a purpose only of reminding the reader of the stone with magical properties, a plot line that seemed to have taken a secondary level of importance once the story brought the protagonists together, and reinforcing those properties both of long life and tragedy for the person holding it (written about in the book) and of it connecting people together (the moral, not written about as a property). But...it was inherent in the story, it didn't need repeating. We've already seen that life goes on and that new life begins. We are well aware of the loss of memory of the war. 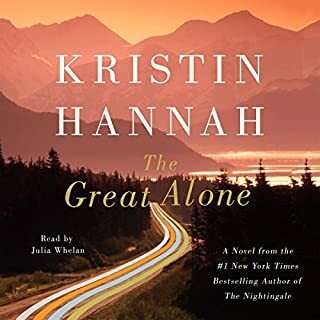 To me the final chapter seemed to hammer home a sad happy ending just a little too much, and it could simply be that it felt disconnected from the rest of the book or that it brought it too close to current day for it to feel like a story removed from my life. Small points, as the whole book was well done. I was very happy to see a book, especially one about war, that had a disabled lead character but that doesn't use the disability as a crutch or superpower. 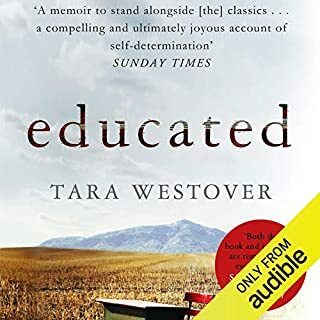 I don't think the book would have worked without her being blind, there was a poetry in that connection to Werner and the audible connection of radio, but the book wasn't about her being blind. Her blindness, in the end, seemed no different than Werner's technical expertise, or Volkheimer's size, or von Rumpel's rather mysterious cancerous growth that keeps getting mentioned. It seems much less of a hinderance than Ettiene's paranoia. Enjoyes the story from start to finish. Good narrator but not the best. Worth listening to. 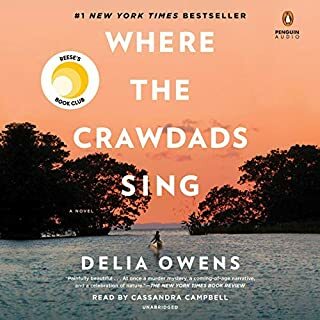 The story was riveting and held my attention while it entertains with language that makes the reader think about the metaphors the author so succinctly uses to draw the mental picture. Sensitively created and a master. I loved this historical story, it brought light to a dark part of our History. Great Narration that really made you feel the characters. The story was good however I found that there were some unnecessary part added in. Makes you really think of how life was in these tough times. Overall, well worth the listen! An absolutely stunning and highly emotional story. I adored every minute of it. 5 stars! Few books make me emotional without some intensity, but this book is about paths that cross, almost or entirely coincidentally, and yet mean so much. It's about the little things we do that seem to mean nothing, and yet may turn out so important at critical moments. 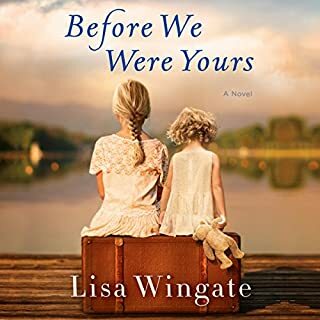 This book did not end how I expected it to, and I miss my grandfather, veteran of WWII, with a pain I did not realize still lingered, these years past. I am so thankful for this novel, for Werner and Marie Laure. Heart-warming, heart-wrenching, omg. One of those stories where you can really step into the characters shoes and feel the weight of everything through them. I absolutely loved it. incredible, beautiful story. what an amazing cast of characters. I wasn't really find of the narrator at the beginning but I warmed to him by the end. I didn't read the print version, so it's hard to say. I would suspect that it is because the narrator is a good one. The plot is engaging, and the narrator does a good job with this story. I don't really have a favorite scene within this novel. The story builds, so there isn't a scene that sticks out to me more than the others. Who was the most memorable character of All the Light We Cannot See and why? Verner, because a lot of the other character names are foreign, and I don't know how to spell their names. Still, he is interesting because of his technical abilities that are demonstrated in the narrative. This recording probably would be closer to 5 stars if the production was better. The story is good, and the narrator does a fantastic job. There is slight hum in the background that comes and goes during the recording. It's not terrible, but it's there, which can be annoying at times. I'm embarrassed and a little afraid to admit I was not a big fan of this book. One reviewer said that if you didn't like it, then you must be jealous of the author. Trust me. I am not jealous. I just have another opinion. I thought this was a beautiful story. The characters were all well developed and I really got to know them. I loved that the author chose to write about teenagers and that one of the main characters was blind actually enhanced the book for me. The unbelievable horror of war and how it effects everyone was very well portrayed. 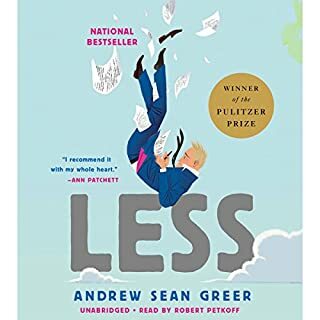 I have listened to many books that are not linear and usually enjoyed them. This book jumps back and forth in time, place and character over and over again. The narrator doesn't change his voice for the characters, so in the moment it took me to figure out where "we" were now, I would miss something. I do think this probably works better in written format. However, the part I didn't like is what most people love and will probably make it win many awards. I found the book too descriptive and too poetic. Like another reviewer said, there were just too many metaphors. I got lost in the sugary details. I didn't enjoy the scientific detail, either. I don't care how many teeth a snail has. For me, it just got in the way. I can't wait until my daughter finishes reading it so I can get her opinion. Plus, even though I listened to the ending twice, I still am not sure what happened to the "stone". This was a rather good book. I loved the story. It was well written. 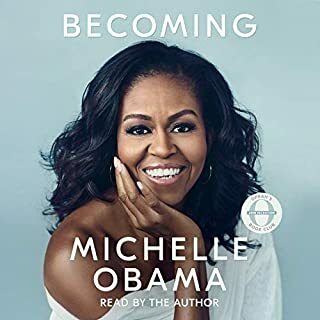 But it is one of those books that is really tough to follow as an audiobook. There are two major storylines that jump back and forth and then forward and backward in time in a single chapter. If you don't pay attention you will be lost quite quickly. The book is good and does not end as you would expect. Read this, don't listen. This will likely enrage the other reviewers, but - and again this is just my opinion - I thought the writing was far too much an attempt at being poetic. Far too many metaphors, far too many dependent clauses - all, seemingly, in trying to create some beautiful prose. It did not for me. 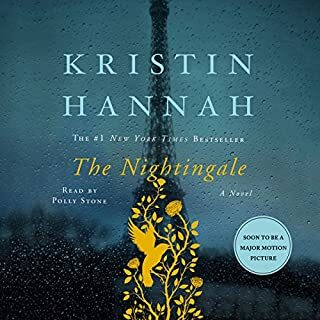 I did love the story and I was engaged in the characters and I did keep reading, but this despite the over-poetic approach and - kack - the horrible narration. His French was embarrassing and he simply did not impress me. But to each his own, right? I will now go and hide from the wrath of those who wrote of their love for the book. What made the experience of listening to All the Light We Cannot See the most enjoyable? As someone who is legally blind, I loved reading how Doer brought to life the world of a young blind girl. 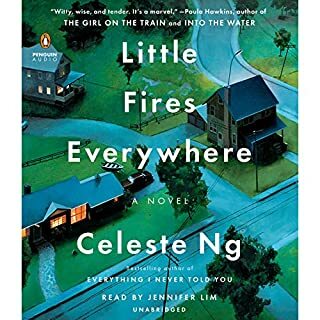 That is the thing that initially caught my attention when I heard the NY Times review of this novel. 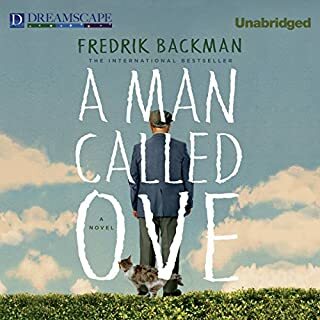 Oh, I just adore the character of Etienne, the uncle who must decide whether to sink into the PTSD he incurred during The Great War--or whether to help his blind niece during WWII. His character is so intricate, so damaged, and so lovely. I really cherish the relationship he develops with Marie Luare (not sure If I'm spelling that right, because I can't see how the author spells it). The NY Times made a comment that Anthony Doer could be a literary writer. I already considered him so, and partly listened to this book to prove the Times wrong. Happy to say, I believe fervently that this is a very strong literary foray. I don't know what other category I'd put it in. Very strong story, strong writing, and good characters who develop and learn. 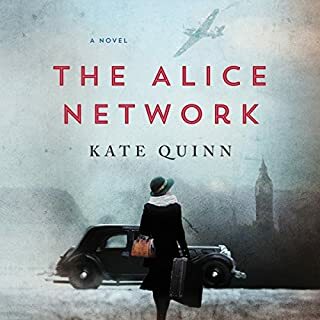 This novel helps the reader understand what it was like to be trapped in the machinations of World War II. Because the two protagonists are children in 1934, they are not able to escape the coming war. The girl is French, while the boy is German. Each are rendered even more powerless by inescapable circumstances: Marie-Laure is blind, while Werner is an orphan. Doerr plunges the reader into their experience of the war through precisely described vignettes--fragments of their experience that resonate powerfully. The two characters eventually meet, and these scenes are haunting. 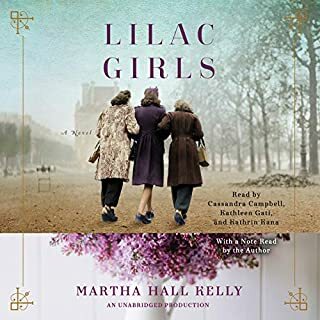 If you are a reader who enjoyed the poetic, humanism of The English Patient or the masterful point-of-view of Code Name Verity or the intense personal quality of All Quiet in the Western Front, you will love this book. 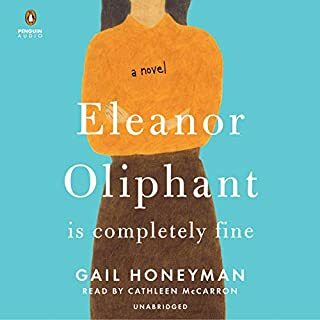 The story is absolutely riveting in itself, but the way the writer parses his words creates a spareness that matches the emotional trauma the two characters stoically endure. When I started listening to this story, I realized it was the wrong novel for me at this particular time. I needed something lighter. I kept telling myself I'd stop listening and go back to it at another time...but the writing kept me hooked. Something was going on here that went beyond the two children whose day-to-day lives Doerr was describing. I am so glad I kept listening. The story builds and builds. The two children's lives connect in magical ways...and towards the last third of the novel, you find yourself holding your breath. I don't want to give anything away. Does it have a happy ending? Does it have a sad ending? You'll have to listen for yourselves. I highly recommend the experience. It couldn't be more real, or human. Can't wait for Mr. Doerr's next novel. Be prepared to love the characters. A wonderful story of young people caught in the net of the Nazis in WWII. In this book Anthony Doerr shows the tragedy from both inside the Nazi party, and on the life of a blind young French woman. A classic story about doing the right thing, at the risk of your own life. I loved the book. 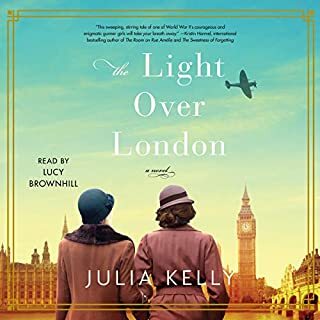 What a wonderfully well written story, and a fine narrator. I find it refreshing when the narration is done simply, without changing the voice significantly for different characters. For me, this is much less distracting than a male making his voice light and high for female characters, and vice versa for a woman narrator. What a pleasure this book was, in every way. I will probably listen to it again some day. Not better, but equally beautiful. I alternated reading and listening. The narrator did a good job without overacting. The story is also very suspenseful. What other book might you compare All the Light We Cannot See to and why? I would compare it ( loosely) to "Beautiful Ruins". It's a long book and not one to rush through. 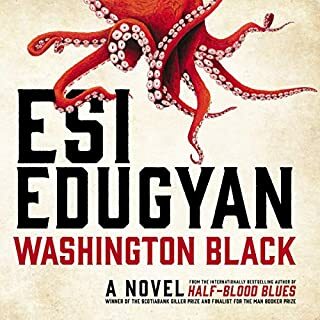 The chapters are short, the narratives moves between time periods and characters, and it is book that requires attention to see how even small events connect and build toward a larger picture. In spite of the length, I was sad to finish the story and say goodbye to the characters. It was difficult to get into the story for me, but then it became an addiction.... It's a wonderful story of courage and resilience.